Do all parts of the application work together seamlessly? Do all aspects of the application work together seemlessly? Are there additional costs for all the core features? Are there any up-front training or set up costs? If I leave what happens to my data and my access? 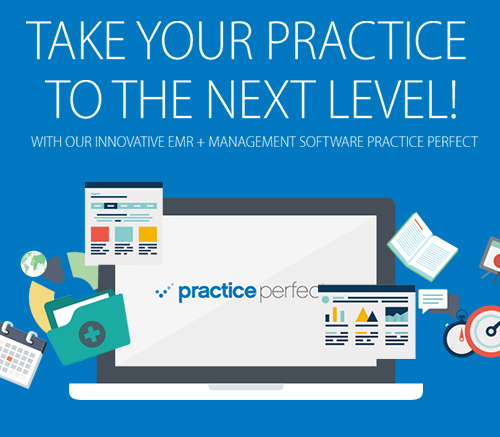 All aspects of Practice Perfect are developed in-house. We are not several different applications that must inter-connect, we are ONE application, with ONE point of entry and full communication, back and forth, between all aspects of the software. So whether you’re scheduling appointments, recording clinical notes, or submitting claims to insurers, it will be reflected everywhere, automatically and instantaneously. “And if you ever have any questions, or need any help, you have one point of contact that will address your concerns, take responsibility, and find a solution,” added Steve Presement, Founder and President of Practice Perfect.